The world loves a good anti-hero. The charming rule-breaker of the movie, who does questionable things with just enough genius for us to love him. 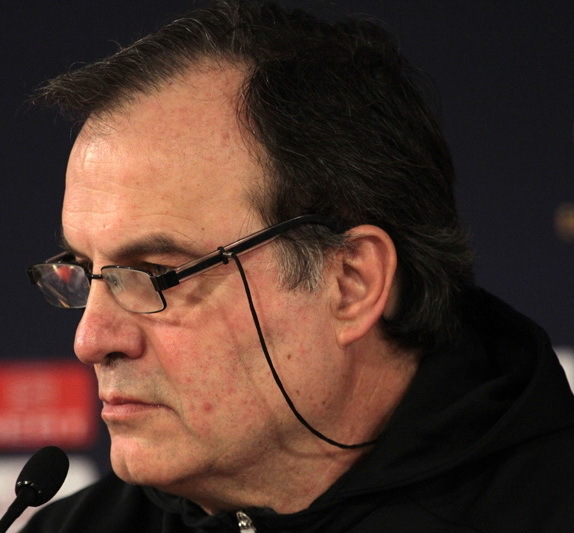 It seems the football world has just found such an anti-hero in Argentinian coach Marcelo Bielsa. The Leeds United boss took full responsibility after it was brought to light that someone at LUFC had spied on the training sessions of Derby County, just before their big match, which Leeds won 2–0. Only days later Bielsa hosted a special press conference, with many believing the eccentric coach would resign after taking full responsibility. Instead, he turned the press conference into a 70-minute lecture on the way he analyses his opposition, fittingly taking Derby County games of the past as examples for his tactical analysis. To summarize it shortly, the world loved it. Football publications around the globe and social media accounts everywhere were overflowing with praise for Bielsa. After the “press conference of the year”, people applauded his honesty, his courage for taking responsibility and of course his tactical brilliance, which was obvious throughout his press conference. Next to this genius anti-hero, the by the book, outraged Lampard felt like the cheesy villain of a 90s rom-com. But are honesty and genius a real defence for repeatedly spying on opposing teams during their preparation in practice? To make it quite clear, Marcelo Bielsa only got very little of his analysis from his James Bond in the bushes. He takes most of his information from analysing thousands of hours of game film. And let’s not make any mistake about it: Bielsa is a genius. None other than Pep Guardiola once famously lauded the Argentinian, saying that he knew Pep’s then-team Barcelona better than the famous Spaniard himself. While the FA is still undecided, and the public has already declared their love for Bielsa and his antics, Lampard’s claims of “bad sportsmanship” are hard to refute. In many ways, the training pitch has always been seen as a kind of sanctuary on which the team prepares for upcoming matches and works on new tactical systems and tricks. In many countries, it is almost never open to the public, and public training sessions are more of a rare marketing occasion than actual serious preparation for football matches. And many other coaches respect this unwritten rule while trying to get their tactical advantage from analysing match footage. Marcelo Bielsa has admitted that he had spies at training sessions of all of Leeds United’s opponents this year, as well as using that system at his past workplaces in Italy, France, Spain and more. Yes, it was “cool” to take responsibility for the actions while also showing off the analytical prowess by dismantling the accuser’s football tactics in front of an audience. But it simply was not right. While it has not yet been decided to which degree or if at all Bielsa has broken the official rules; he has obviously broken the unwritten rules of sportsmanship that are still part of this modern industry that is today’s football. While it is a bit over the top to call for his resignation or a point deduction for Leeds United, a hefty fine should be used to make it abundantly clear that this behaviour is unwelcome in English football. When looking at his press conference, the Argentinian obviously does not even need this kind of tactic. Hopefully such a measure would partly change Marcelo Bielsa’s mindset. By the looks of it, it will not change the mind of the general public.